Innovation Series #5 – What is Entrepreneurship? The spirit of Entrepreneurship – the notion of human progress, development, achievement and change – motivates and energizes the people and organizations that improve our lives. 5 out of 10 people today want to be entrepreneurs. Why? Is the term fascinating or gives a social status? Is entrepreneurship new? No. It did exist since the beginning of human race. This post concentrates on speaking about what is Entrepreneurship all about, a basic definition and its dimensions. 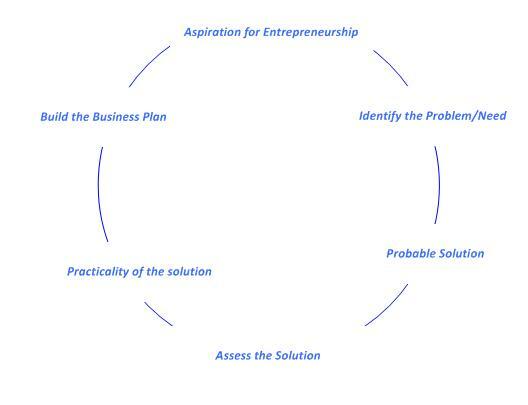 Entrepreneurship is the creation of an innovative economic organization for the purpose of gain or growth under conditions of risk and uncertainty. Let us understand the underlined words above more in detail. Creation means founding or starting or origin. So, this clearly means that if you are buying out an organization or if you are hereditarily taking over, you are clearly not an entrepreneur, you are simply a business person. However, there is one factor which can determine if you are an entrepreneur or not – the degree of change in the organization you are taking over. If you would want to be an entrepreneur, you will need to create an opportunity. What kind of opportunity? If you are offering a new product or service or creating a new line of business. All these factors attribute to determine if you are an entrepreneur or not. Economic organization means that you are creating an organization whose purpose is to allocate scare resources to bring out a new line of operation. What this means is that you might be creating a new business venture, a new line of operation in existing organization or even starting a not-for-profit organization. Risk and Uncertainty are the conditions in which you begin your venture. They co-exist in any organization and go hand-in-hand. Risk refers to the variability of outcome. If there no risk in the organization, then the organization is operating in a risk-free environment and the organization is bound to grow over the period of time. Without risk, is there entrepreneurship? No. However, making calculated risks is what is recommended. If you are writing your business plan and you have not identified your risks and potential measures to overcome them, then the chances of you getting investments is very less. However, the more the number of risks you identify and device a contingency plan, the better is your execution. Uncertainty is the confidence the entrepreneur has in his/her estimate in how the world accepts their offering. If there is no uncertainty, then it would be an everlasting profit making organization J Uncertainty is how markets works and this is what makes entrepreneurship exciting. The better you estimate your customers and how the world operates, the better are prospects of your organization profit making. Entrepreneurship clearly exists in countries which have higher economic freedom. Hong Kong, for example is the most economically free country, which clearly encourages entrepreneurs. Singapore, Bahrain, New Zealand, Switzerland, USA, UK, Taiwan, Bahamas and Netherlands appear in the top 10 countries in the world which provide the most economical independence. On the flip side, North Korea is one of the most orthodox countries in terms of economic freedom. Angola, Azerbaijan, Iran, Libya, Somalia, Vietnam, Iraq, Cuba and Laos add to the list of most strict countries in terms of providing economic independence. Before I end this post, let me list down the 10 best rules Mr.Sam Walton has mentioned for his success. Rule 1: Commit to your business and believe in it. Rule 3: Motivate your partners, challenge them and keep score. Rule 5: Appreciate your associates with well-chosen words. Rule 6: Celebrate your success. Rule 7: Listen to everyone and get them talking. Rule 8: Exceed your customers expectation. Rule 9: Control your expenses. Rule 10: BREAK ALL THE SULES. Swim upstream and go up way.